Split thematically into four parts, the volume discusses ideology, national identity and chronology in various historiographies of Palestine and the legacy of memory and oral history; the transient character of ethnicity in Palestine, and questions regarding the ethical responsibilities of archaeologists and historians to protect the multi-ethnic cultural heritage of Palestine; landscape and memory, and the values of community archaeology and bio-archaeology; and an exploration of the "ideology of the land" and its influence on Palestine’s history and heritage. 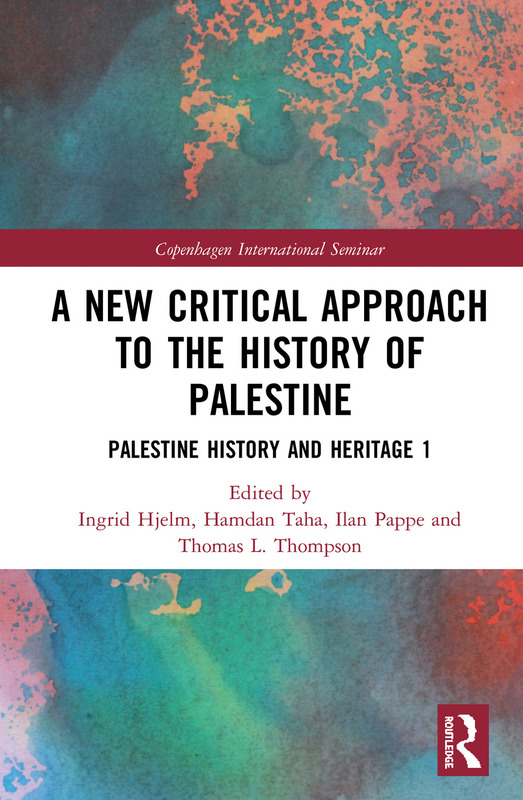 Ingrid Hjelm is Associate Professor Emerita from the University of Copenhagen and former Director of the Palestine History and Heritage Project (2014-17). She is the author of The Samaritans and Early Judaism (2000) and Jerusalem’s Rise to Sovereignty (2004) in addition to a considerable number of articles within the field of Samaritan studies, the history of ancient Palestine, Judea and Israel, and the Hebrew Bible. Co- authored with Keith Whitelam, Thomas Thompson, Niels Lemche and Ziad Muna, New Information about the History of Ancient Palestine (Arabic; 2004). Co-edited with Anne Katrine de Hemmer Gudme, Myths of Exile (2015), and with Thomas L. Thompson, History and Archaeology and the Bible after "Historicity".Changing Perspectives 6,and Biblical Interpretation beyond Historicity. Changing Perspectives 7 (2016). General Editor of the Copenhagen International Seminar Series (2011 -). Hamdan Taha is an Independent researcher, former deputy Minister for heritage, (2012-2014), and the director general of the then newly established Department of Antiquities in Palestine (1994-2012). He has directed a series of excavations and restoration projects and co-directed the joint expeditions at Tell es-Sultan, Khirbet Bal’ama, Tell el-Mafjar, Kh. El-Mafjar and Tell Balata. He worked also as a national coordinator of the World Heritage Programme in Palestine. He is the author of many books, field reports and scholarly articles. Ilan Pappe, Professor of History at the Institute of Arab and Islamic Studies and Director of the European Centre for Palestine Studies at the University of Exeter. Author of numerous articles and books on Palestine and the modern state of Israel, including: A History of Modern Palestine (2004), The Ethnic Cleansing of Palestine (2006), The Forgotten Palestinians (2011), The Idea of Israel (2014), The Biggest Prison on Earth (2017). Thomas L. Thompson, Professor Emeritus, formerly research Fellow for the Tübinger Atlas des vorderen Orients from 1969-1976, was Professor of Old Testament at the University of Copenhagen from 1993-2009. He has produced more than 20 books, four of which have been translated into Arabic, and 170 lesser works related to the history of Palestine and biblical literature. The best known books are The Historicity of the Patriarchal Narratives (1974), The Settlement of Palestine in the Bronze Age (1979), The Early History of the Israelite People (1992); The Bible in History (1999); The Messiah Myth (2005) and Biblical Narrative and Palestine’s History (2013); with Keith Whitelam, Ingrid Hjelm, Niels Lemche and Ziad Muna, New Information about the History of Ancient Palestine (Arabic; 2004). In 1996, he started the Copenhagen International Seminar Series of which he was General Editor until 2016. To date the series has published about 40 books.